In keeping with our approach to new innovations and uses for renewable technology we, as a trail, purchased battery powered bikes to rent out at the Ocean View Chalets. The Ocean View Chalets are luxury self-catering holiday homes in Ballycastle (more information is available on www.causewaycoastrentals.com) and we made the bikes available for guests to hire and go out and enjoy the local area. 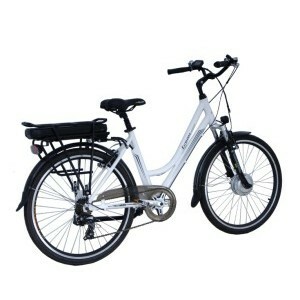 The bikes proved so popular with our guests that we have included them in our portfolio for purchase.